Introduction: Whether seeking protection from the Sun's UV rays or shielding your eyes from the glare of your exciting new combo, sunglasses are an important part of any outdoor persons' arsenal. 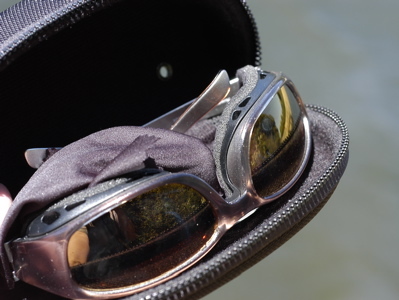 What's lacking in most sunglasses, from an angler's point of view, is wind protection. Yes, that's right, wind protection. 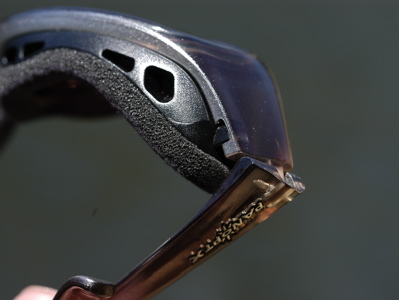 While practically all sunglasses do a good job of blocking the wind on the front side, very few take into consideration infiltration from the sides. This can be disruptive when traveling on a boat at high speeds trying to reach your next fishing hole. 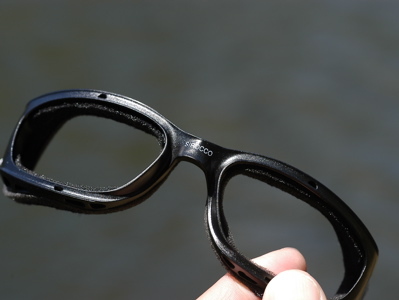 Normally, in order to gain this type of protection, boaters have to endure awkward fitting, uncomfortable goggles or large face masks. Enter a relatively new company named Panoptx and their innovative series of frames and lenses that offer both sun and wind protection in a traditional looking package. 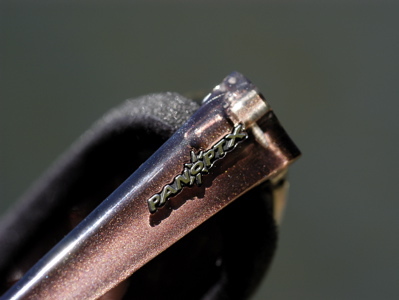 Impressions: Panotpx is a company started by a group of outdoor enthusiasts. Their passions lie not only with fishing, but with cycling, skiing, golfing, and more, and their line of sunglasses was developed with these sports in mind. What does all this mean? Panoptx shades not only offer traditional sunglass protection, they help guard your eyes from dust, pollen, peripheral glare and wind. 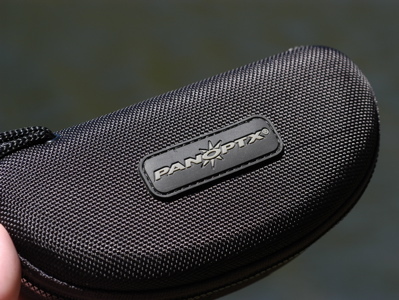 Each pair of Panotpx sunglasses come in an attractive, durable case to protect your eyewear when not in use. To provide that extra degree of protection to your eyes, they've designed a patented "air dam" that extends from behind the frame to your face, guarding against entry of any foreign substances. This system is available in a couple of different configurations each providing a different degree of protection. For our tests, we acquired their most aggressive design, the SR100, that promises 100% protection against wind, dust, and anything else that might want to find its way behind your shades and into your eyes. The system on our Sirocco CV has the added benefit of being removable. The Field Tests: We ventured out on a few trips with our Panoptx Sirocco CV shades to get a feel for them under real world conditions. Our tests were limited to fishing activities and did not extend to the realm of golfing or fishing though our original intent was there, it simply did not work out with our testing schedule. Clarity: Our Sirocco CV lenses feature Panoptx's ColorTec Polarized Copper 23 lense. 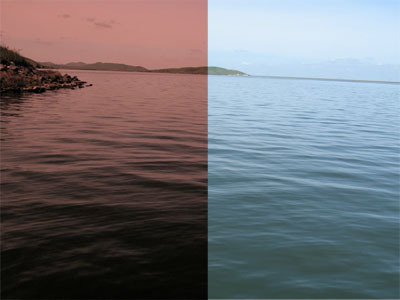 Polarized lenses are a great benefit while fishing eliminating excess glare and enabling the angler to see more clearly, into the water. The clarity of our test shades were very good. 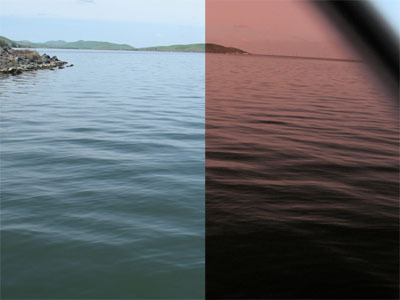 Some lesser polarized lenses have a degree of distortion along the edges, but there were no noticeable amounts of distortion in our peripheral view with our Sirocco shades. Panoptx rates this lense with a transmission value of 14% translating to what should be a good, dawn to dusk pair of lenses. I found coloring of these lenses worked best under bright, clear sky conditions. On overcast days, or conditions close to dusk or shortly after dawn, I found them a little too dark to my liking. Conversely, some might actually find them too light for bright conditions. It's important to understand what works best for you.